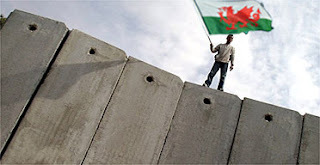 Gwynedd council has controversially rejected a planning application from the Israeli government requesting to build new Jewish settlements in the non-contested Golan area, near Snowdonia national park. The Israeli foreign ministry has responded angrily to the rejection and says that it may be forced to take the plan to the United Nations, or even to take direct action itself. An emergency meeting of the council cabinet took additional submissions and statements from those affected by the Israeli proposals, which included a new community library, affordable key-worker housing and the installation of a battery of the Israeli Defence Force's 'Iron Dome' antimissile systems. The council emphasised that it was with great regret that they had to turn down the Israeli application but it followed a thorough review of a 3D model of the proposed Golan Heights Snowdon development.